Ancient Indians used to build water temples as well as earliest forms of step wells and reservoirs. 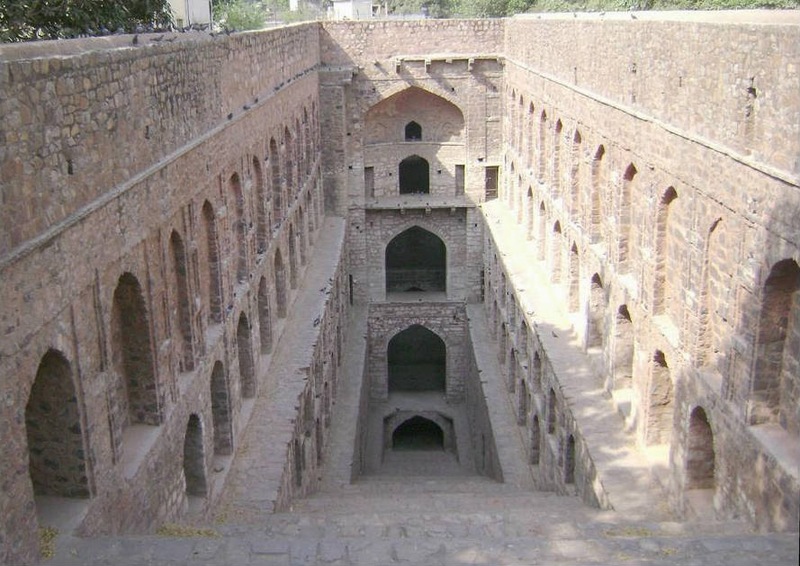 Few exquisite examples of single-flight step wells still exist in Delhi today. 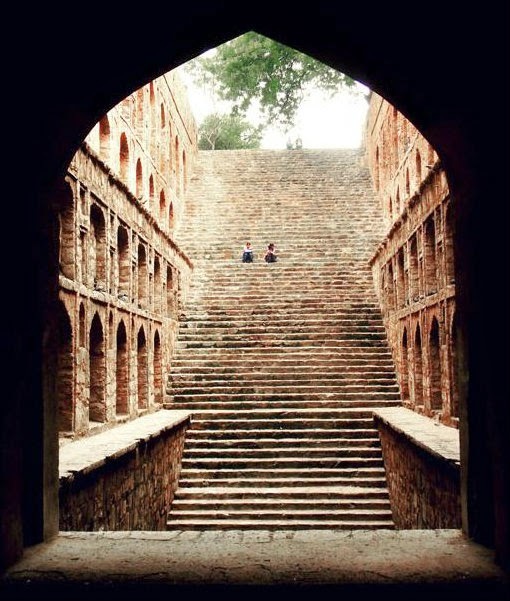 The oldest existing Baoli - the Anangtal Baoli in Mehrauli, Delhi, was built in the 10th century by the Rajput King Anang Pal II of Tomar Dynasty. 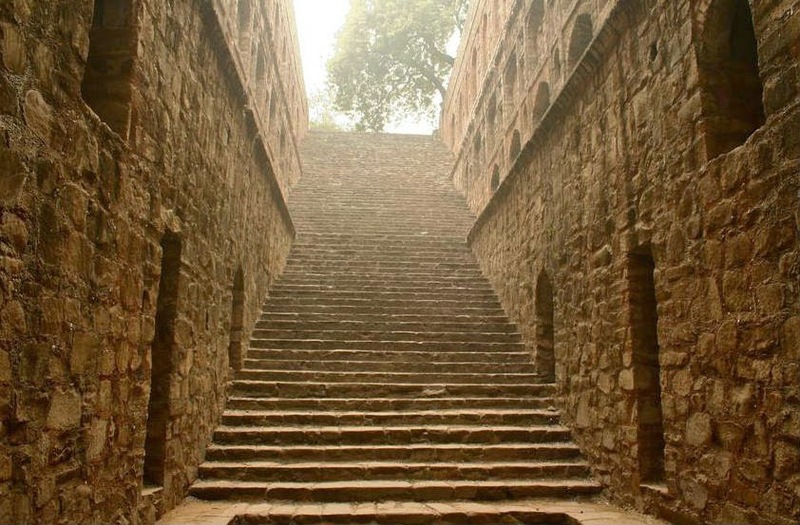 Agrasen's Baoli (Agrasen ki Baoli) is among a few of its kind in Delhi, consisting of 103 steps made of red stone. 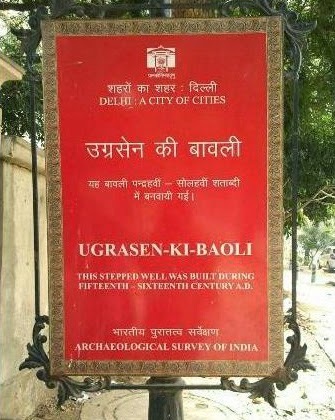 The Baoli was originally built by Maharaja Agrasen, in the Mahabharat era, and later rebuilt by the Agrawal community in the 14th century, most probably during the Tughlaq period. It is located on Hailey Road near Cannought Place in Delhi, India, in the vicinity of Jantar Mantar. It is now a protected monument by the Archeological Survey of India (ASI), and has a mammoth board indicating it's national importance, but even the ticket-less entry attracts only a few visitors. You can reach the Baoli by taking KG Marg from outer Cannought Circus, and then turn left towards the Hailey Road. The Baoli is an unique blend of architecture with an impressive design known to have existed centuries ago. The stone walls of the Baoli, dressed with inventive designs with a series of arched structure are grim and desolate, but still beautiful. The Baoli is 60 meter long and 15 meter wide rectangular step well, made up of a series of superimposed arches supported on piers or columns. Some parts of the Baoli are permanently immersed in water, but there exists three levels in the visible area (the area which is above the water) of the Baoli, each of which is lined with arched niches on either sides. These allow the visitors to explore various alcoves and rooms that once may have been used as sites for retreat or puja. Presently, the rooms considered dangerous are secured with gates, and most probably are the favourite dwelling place for the pigeons. The Baoli had water till recent times, but now it has dried up and one can see the bed of the reservoir, full of bird feathers and droppings. It is well known for the pigeons and bats residing in the loafty places of the dry reservoir, and the presence of birds as well as "love birds" will make you realize that the Baoli is not a secluded place at all. It is a cool and silent place in the heart of the capital. The silence deepens as one moves to the bottom of the stairs, the magnificient view of the skyline disappers gradually, and the light of the day starts fading, assuring the fact that it is considered on of the spooky haunted places in Delhi. The gradual increase in the gurgling sound of pigeons, and squeaky chatter of bats echoing off the stone walls makes this place creepy. The scuttlebutt about being followed by something or sombody invisible, the intensity of which increases if you increase youe pace, makes the Baoli feels mystic. There are rumors of evil sprits in this ancient architecture since quite some time. 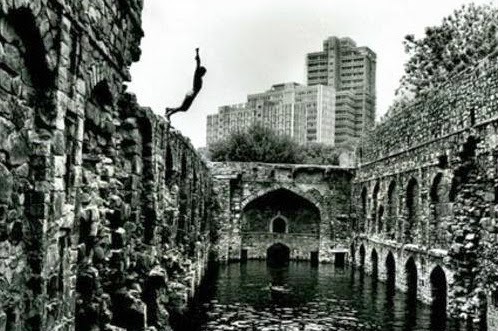 As per the claims, the Baoli was earlier fill with filthy Black water which attracted mostly disheartened, discouraged and depressed admirers with magnetic effects. The fatal attraction of the mystic waters hypnotized people to their death by alluring them to jump in the waters. 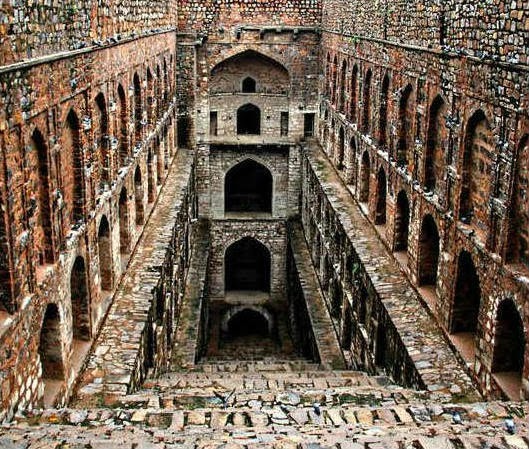 It is believed that the "Baoli of the unseen", used to call for people to offer their lives and raise its water levels. The occurance of supernatural activities and existence of the evil one is controversial and has been debated every now and then. The loud and shrill cry of the bats definitely add up to the evil reputation of the Baoli, and may play a role in increasing eeriness inside the monument. Some believe that the haunted tales are a myth, while some claim to be eye witness to these shocking stories. The mystic architecture definitely needs your visit. Come and experience the sensation of being alone in the Baoli. 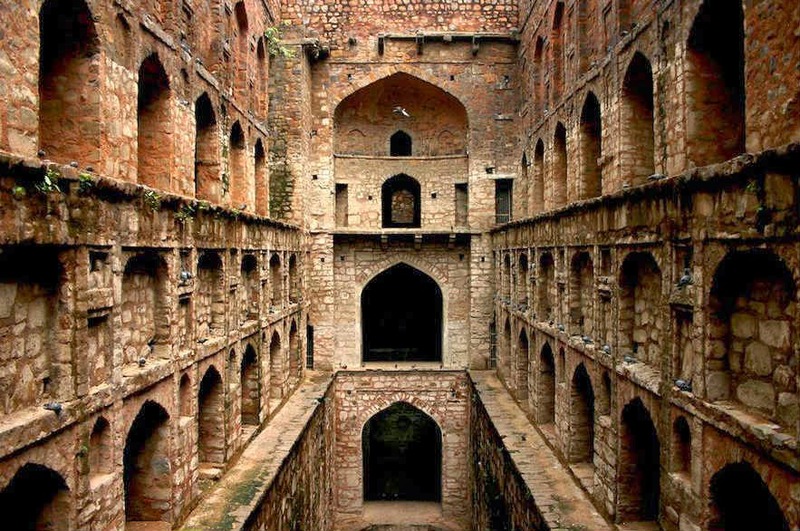 The Agrasen Ki Baoli in Delhi is considered haunted and is placed at 10th position in the list of ten most haunted places in India.